It was a weekend with family and a birthday to be celebrated. The birthday person has a very special place in my heart, she is the mother of my beautiful grandchildren. When I asked her what kind of cake she would like me to bake for her she immediately answered a “Chocolate Cake” of course. It seems chocolate is her primary food in life…maybe chocolate is the cause of her beauty. I immediately thought of a Sacher Torte, but when we chatted about what kind of a chocolate cake that she wanted she told me that it had to be all chocolate, no jams, no nuts, no combinations of creams simply a chocolate cake with a chocolate icing. Well, I am known not to make simple cakes, there has be to something about a cake that makes it special and better than what I had done in the past. The Sacher Torte as a base was still what I thought would please her, and the chocolate ganache was certainly special and I knew she would like it, however, there had to be something else that would make this birthday cake even more special. I started looking through my chocolate pastry cookbooks, and while I was turning the pages my thoughts and imagination clouded while reading between the lines of the recipes. I was just about to give up when I came upon a chocolate mousse. Yes, why not a chocolate mousse filling and piling the same mousse all over the cake. It certainly would make it a very special cake and worthy of celebrating a special person and her birthday. Grease and dust the sides of the pans with flour. 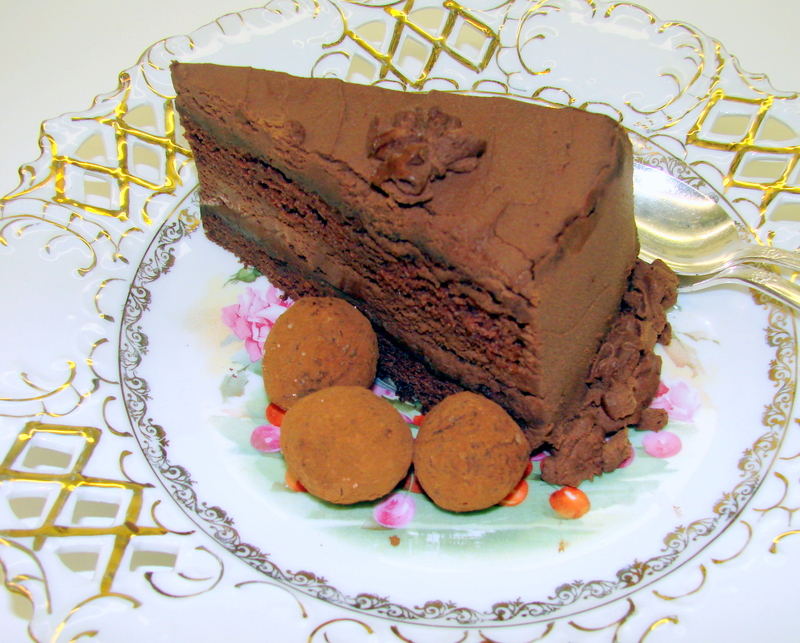 Note:….If my time is limited I reach for a “Duncan Hines” Devil’s Food cake mix…..it is a great alternative….and I have never been disappointed. 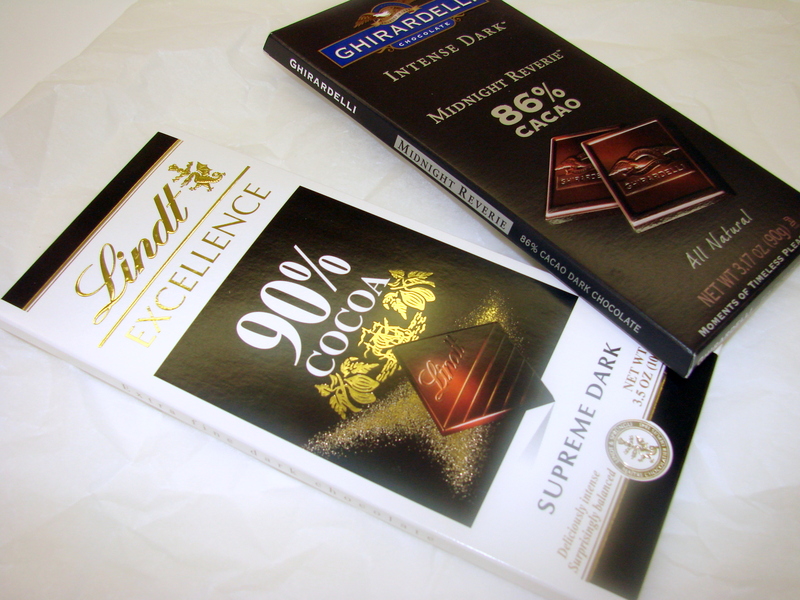 Use Fabulous dark chocolate…I use 2 bars….. 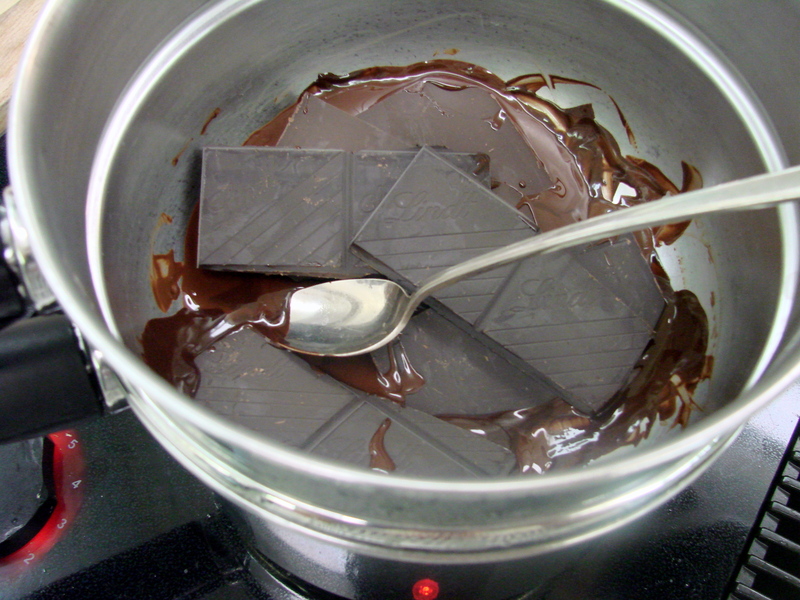 Melt the chocolate in a double boiler, stirring until smooth. 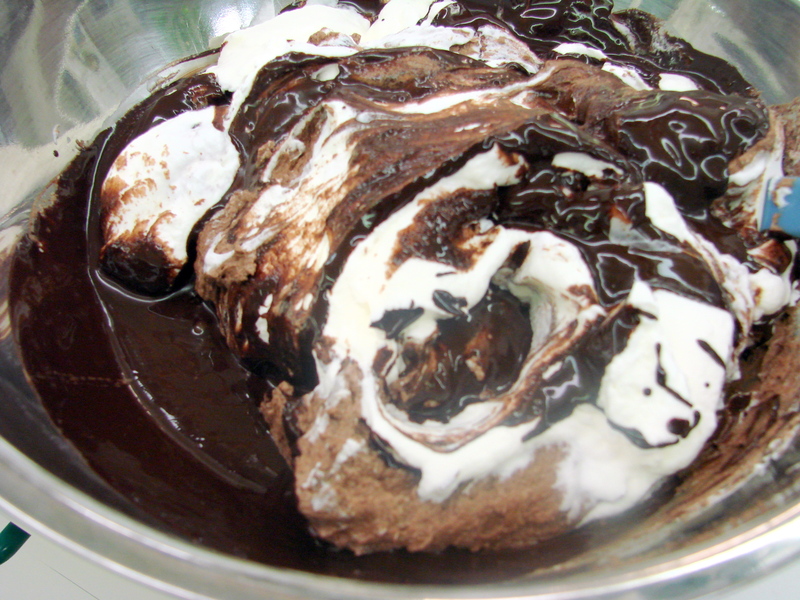 While the chocolate is melting, place the cream into a chilled bowl, helping the cream to whip faster. Whip the cream until it forms soft peaks. Add the powdered sugar and mix just enough to blend thoroughly. 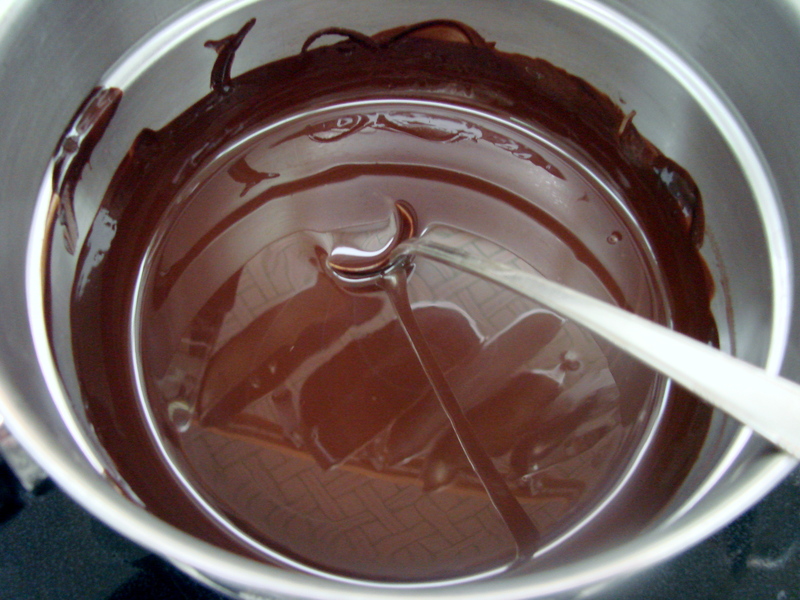 Add half of the whipped cream to the melted chocolate, and mix well until combined. Then gently fold in the remaining whipped cream until mixture is smooth and well blended. Chill the mousse for about 30 minutes to an hour…then fill and ice the cake. then refrigerated it for about 30 minutes. This helped to hold the mousse in place when I placed the second cake layer on top of it. Once the filling was between the two cake layers I iced the cake and piled the rest of the mousse onto the top, and decorated it. I used a pastry bag and a star tip to fill the top. 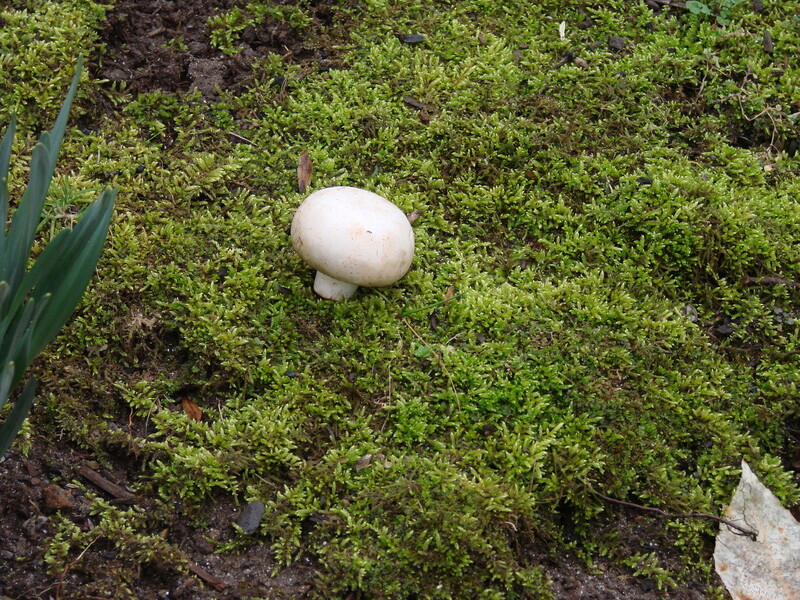 To give the cake a special touch…I went to my garden and wondered what I could use to make the cake special. I have a huge bush of Russian Sage and it is in full bloom. There is also Marjoram with it’s delicate pink blossoms. The pink blossoms would go well with the dark chocolate, but I felt that the aroma of Marjoram would not compliment the chocolate…I went back to the Sage and looked at it for a while, picking off the leaves, smashing them in my hand and smelling the potent sage fragrance. 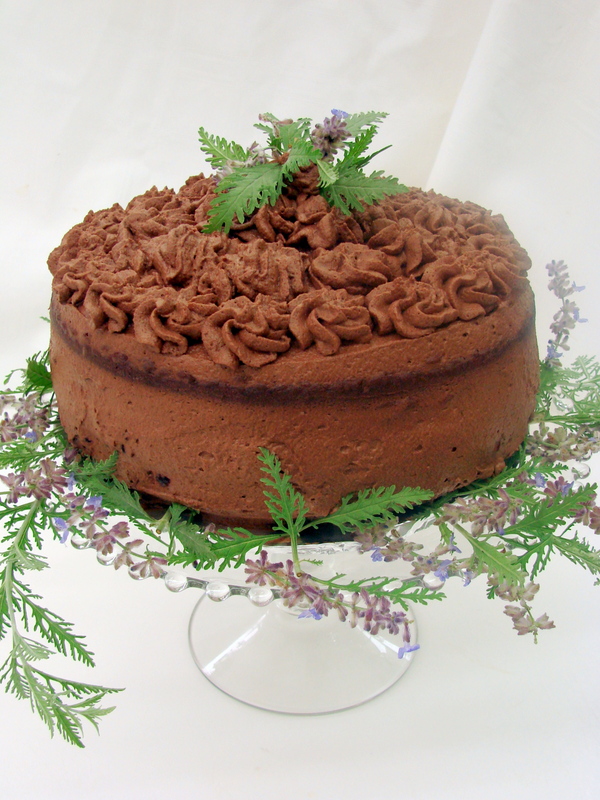 Yes, Sage would go well with chocolate the two aromas are strong yet they would not clash. They would compliment each other. 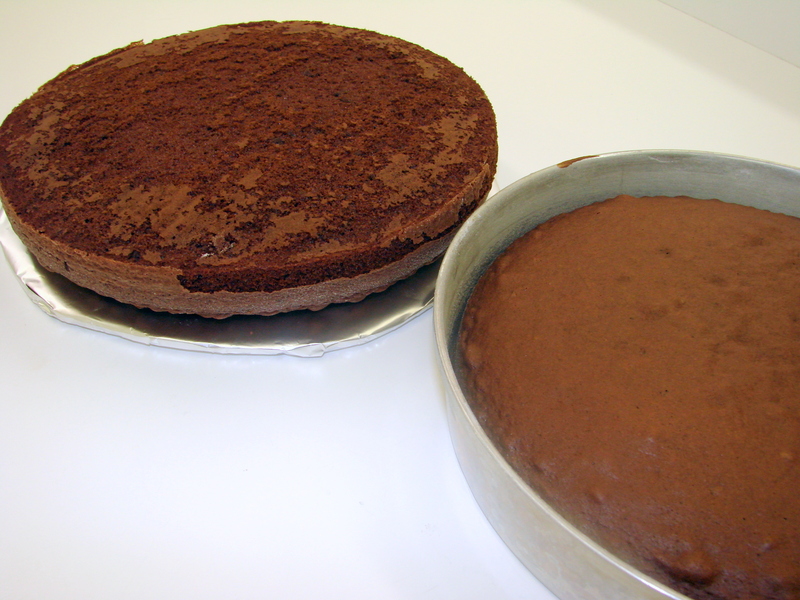 When I finished decorating around the cake I inhaled the two aromas with delight. 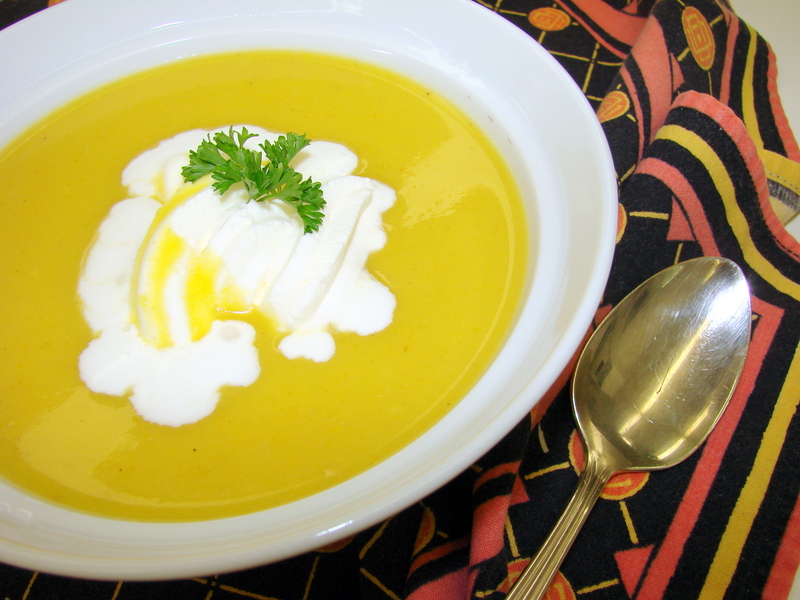 Not having gown up with pumpkin soup or pumpkin pie or pumpkin bread, I have never developed a liking for “traditional” pumpkin foods. 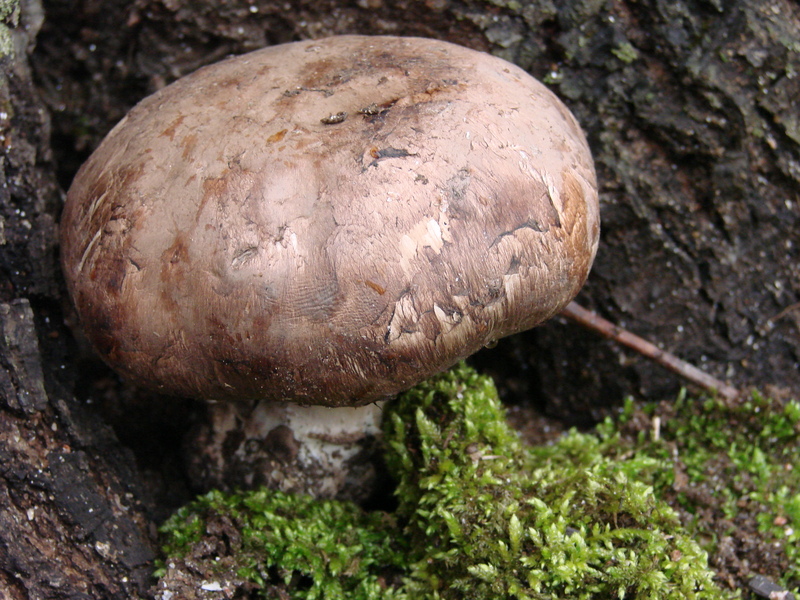 You see, when I was seven years old we lived for a short while with my grandparents in Croatia. My grandfather was a butcher and had a business to raise pigs then selling the meat to restaurants in the surrounding cities. I remember walking with the maids to the pig sty where they fed the pigs cooked pumpkin and potato slop. I distinctly remember the smell wafting from those buckets – it had a similar aroma to pumpkin pie, without the enhancement of spices. 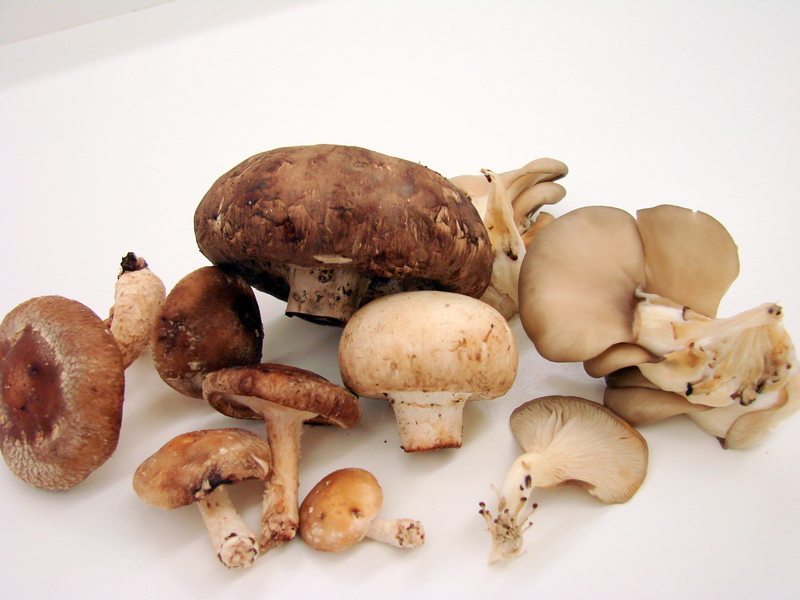 I never have learned to disassociate that particular aroma from my childhood experience. However, as an adult I have developed a curiosity about International foods and have enjoyed flavors that are exciting, such as Indian cuisine. In my library of cookbooks I have many nationalities represented from which I have cooked many times, in particular, the Indian meals are very pleasing. 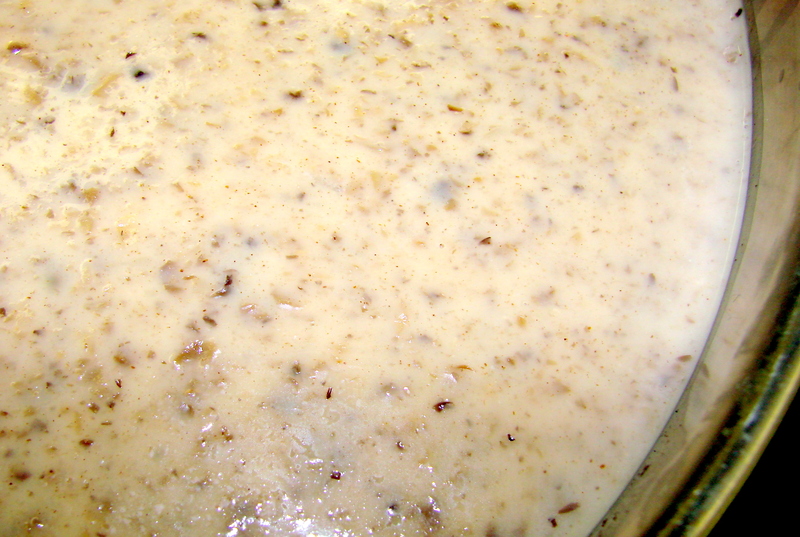 1 to 2 cups heavy cream …. 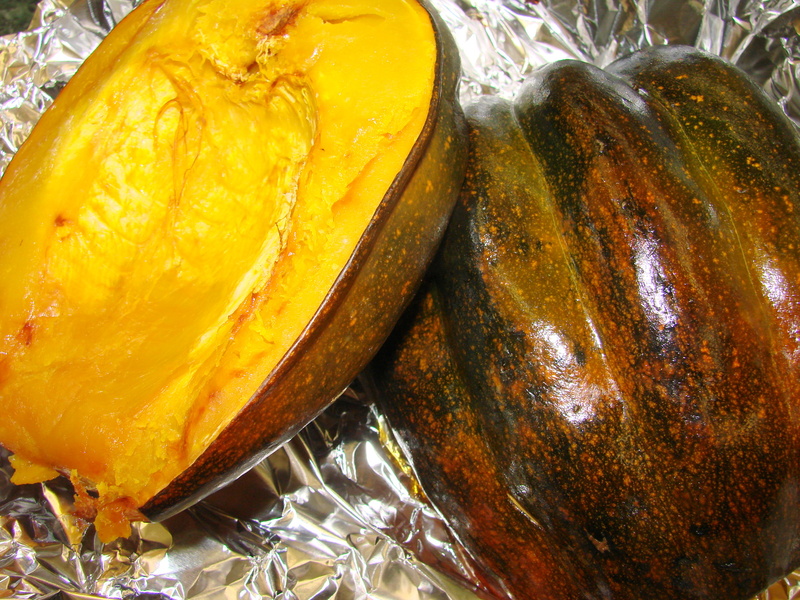 Cut whatever pumpkin you use into halves, wrap them in aluminum foil and bake them at 400 F for about 1 hour. When cool enough scrape the baked flesh out of the rind and place it into a separate bowl. 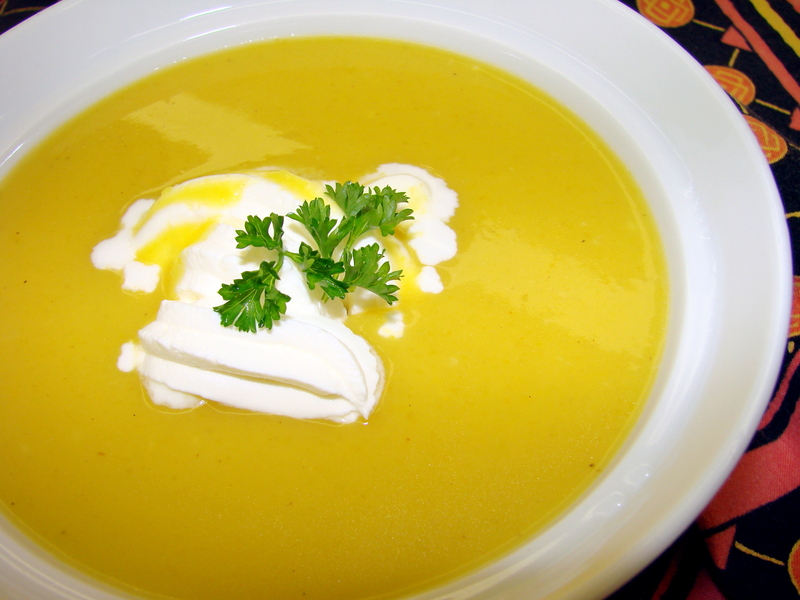 Use a medium size soup pot, add the butter and oil, then add the garlic, the sliced onion, orange slices, bay leaves, fresh ginger and heat on medium. Sautee all the above ingredients to be slightly caramelized. At the end add the curry powder, cook for another few seconds to bring out the oils from all the spices and be overwhelmed with all the aromas that come out of your soup pot. Now add the baked squash and add the chicken broth and bring it to a boil. 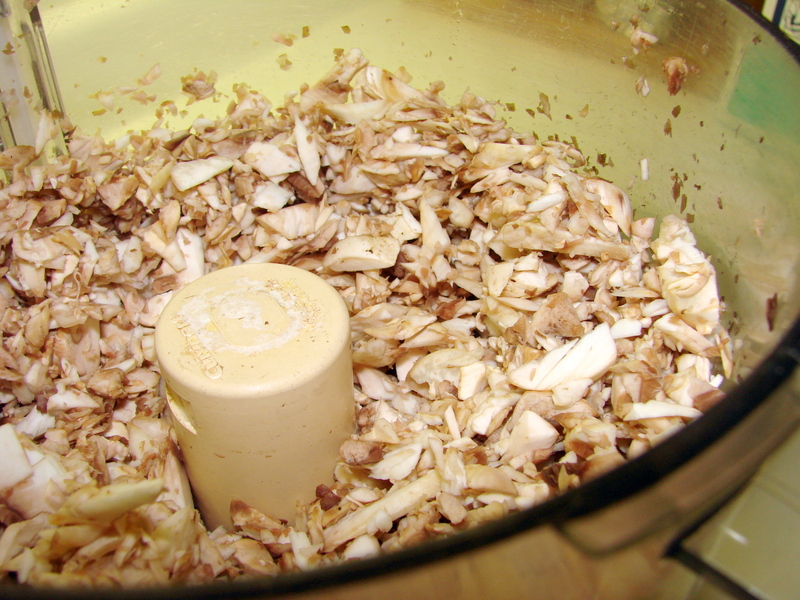 Lower the heat and simmer it for about 20 to 30 minutes giving it a stir a few times. 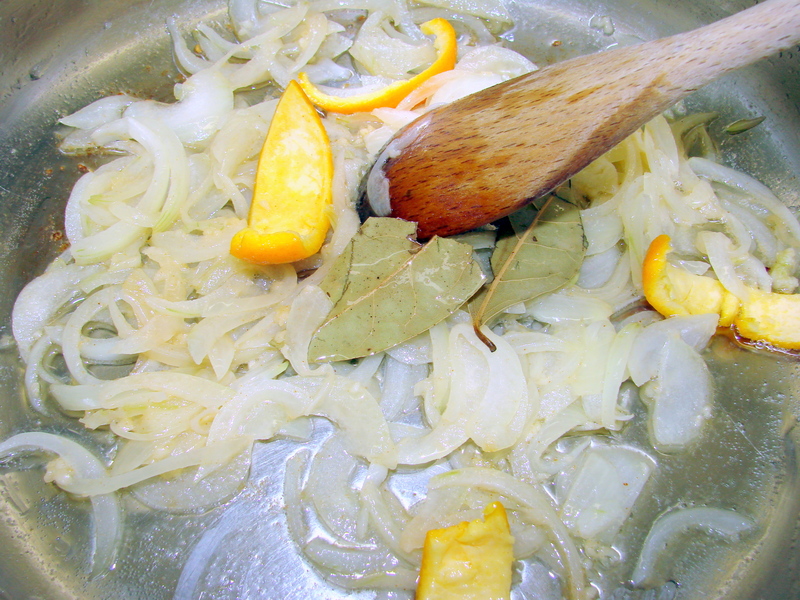 Remove the orange peel and the bay leaf with a slotted spoon. 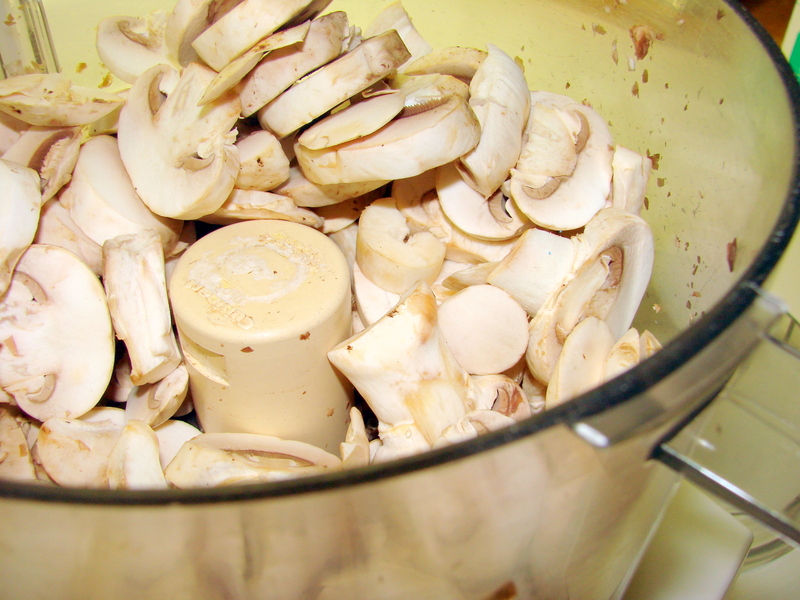 Insert an electric hand blender bring it to a smooth consistency. 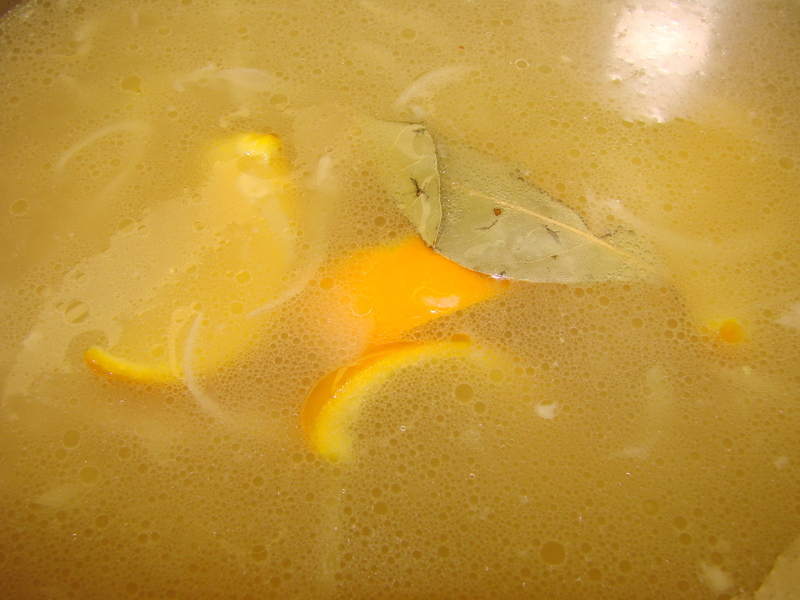 Add the diluted chicken base, the 1 Tbsp of sugar, as well as the liquid cornstarch and cook the soup until it thickens. 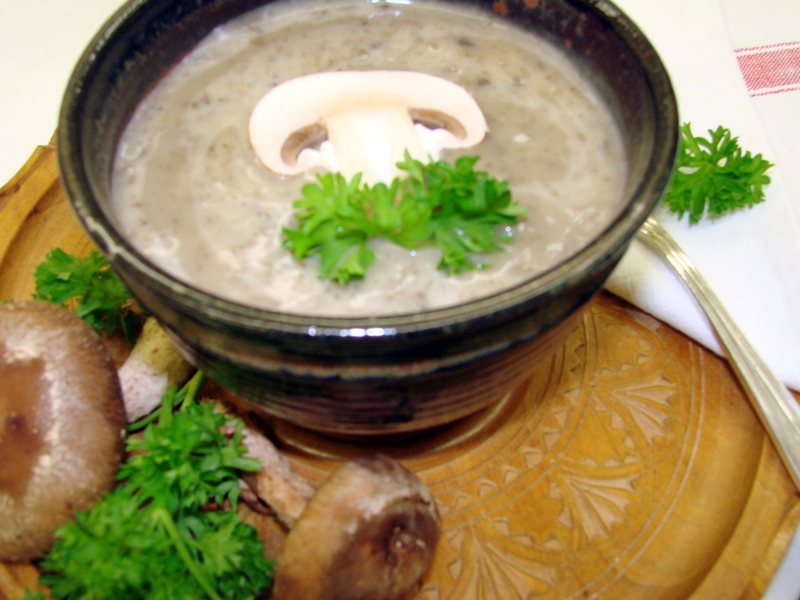 Once you have cooked this soup I am quite sure you will not stop with just one spoon full….